Remembering Dorothy Marie Aubuchon | Remembering Dorothy Marie Aubuchon | De Soto Obituary Search | Dietrich-Mothershead Funeral Home, Inc. Remembering Dorothy Marie Aubuchon | De Soto Obituary Search | Dietrich-Mothershead Funeral Home, Inc.
Dorothy Marie Aubuchon was born on April 5, 1931 in De Soto, MO. She was the daughter of Clifford & Grace (nee Sansoucie) Aubuchon. 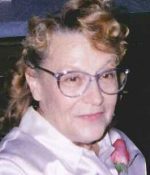 She died on August 14, 2017 in Farmington, MO at the age of 86. 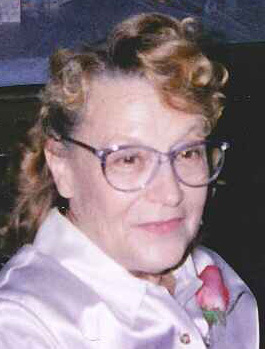 She is survived by her daughters, Jeannie Wilkinson of San Diego, CA and Michele (Dan) Schmitt of South Carolina; brother, James (Rose Mary) Aubuchon of Bismark, sisters, Bonnie Klump of De Soto, MO, Carolyn Osborne of Festus, sister-in-law, Anna Lou Aubuchon of De Soto, MO; one grandson, Andrew Schmitt. She was preceded in death by her parents and her brother, Leonard Aubuchon. A graduate of De Soto High School she worked for a time at Pittsburgh Plate Glass before attending Nursing School. She then moved to Washington D.C. to work in the British Ambassador’s Office and then moved to California. She was also a shoe model, did fundraising for the National Park Service and had a keen interest in geology, history, and astronomy.